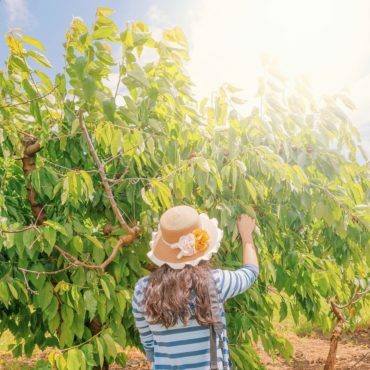 Young's celebrated Cherry Harvest festival, known as the National Cherry Festival, takes place on the first full weekend of December. 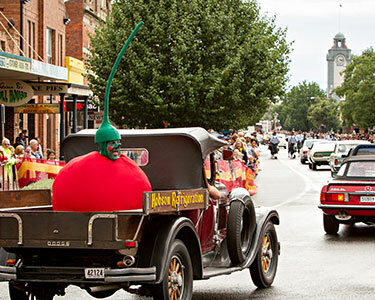 Visitors from near and far converage on the town to celebrate the famous red fruit! 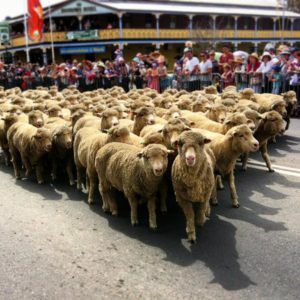 The Irish Woolfest in Boorowa takes place on the Sunday of the October Long Weekend. The day culminates with the ecumenical Blessing of the Fleece. A sheep is shorn and its fleece is thrown on stage as a thanksgiving for the fine wool of the district. Complete with Irish music, dancers and a Growers’ Market, the Irish Woolfest is the highlight of Boorowa’s year.